The Board of Directors has appointed Caroline Russell to serve as Interim Executive Director during Christi’s leave of absence this fall. Caroline holds a B.A. from the University of Virginia and a Master’s degree in International Studies from the University of Cambridge, England. Caroline began her career promoting non-profit institutions of learning while working at the World Affairs Council in Richmond, and she worked for six years in the Development Office at Washington and Lee where she specialized in corporate and foundation grants, capital gifts, and stewardship. 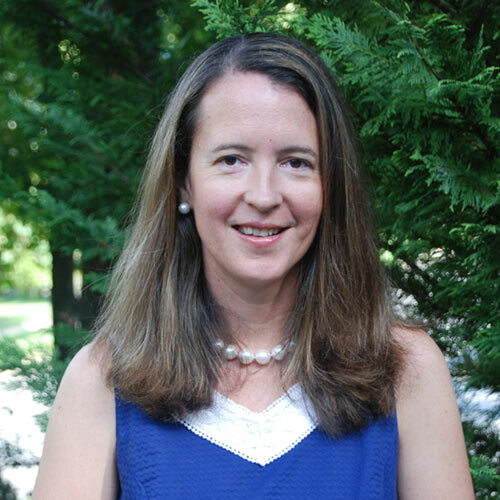 Caroline has deep ties to Woods Creek Montessori as both a parent and a board officer, having served as Board President in 2004-2005. During this time, the Board oversaw an expansion in program facilities and staff and developed a long range strategic plan. More recently, Caroline has been a volunteer language arts enrichment teacher at Waddell Elementary where she has taught a Great Books program. Caroline has already met with the staff to begin planning for a successful academic semester, and she looks forward to meeting you at the Back to School event this evening. Although Christi’s absence is a difficult circumstance for our school, the Board has full confidence in Caroline and the staff to maintain the high standard of educational excellence that the community associates with Woods Creek Montessori. The Board, Interim Director, and Staff all hope to see you tonight at 7 PM for our Back to School event, and we look forward to another successful academic year.